Description: Saddle stitched booklet has light wear to wrap edges. A little very light general surface soiling to wraps. Pages are clean and binding is tight. Interviews with 30 people covering the 20 years following the Weimar Republic - Nazi Germany, World War II and the post war years. 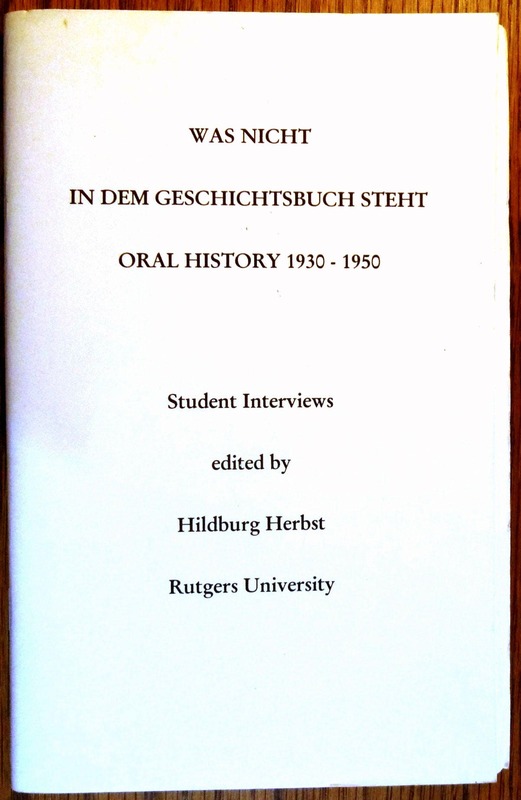 Preface, introduction and Chronology (in rear) are all in English, the actual interviews are in German. Fifth printing, 1997.